Nathan Hale Chapter meetings are held on the second Tuesday of the month at various locations to accommodate as many members as possible. Meetings are held as follows: five daytime, two evenings, and one or two Saturdays, September through June, with no meetings in January and February. 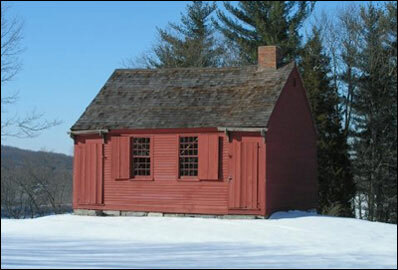 The June meeting is the Annual Meeting held at the Nathan Hale Schoolhouse in East Haddam on the Saturday closest to Captain Nathan Hale's birthday, June 6. In addition to the program, each regular meeting includes devotions, patriotic exercises, the President General's Message, and the National Defense Report, as well as other interesting reports. Begun in June 2009, the chapter newsletter, "The Nathan Haler", keeps members informed of business, special events, updates and reminders, and news and notes of interest.